“HE’S BAAAAACCKKK”..Again | "IT'S A STEELERS WORLD"! As first reported on twitter by @JasonLaCanfora, James Harrison has decided to stick with the team that forged him. Harrison will enter his 13th season in the NFL in 2015 and 12th in Pittsburgh (Pittsburgh (2002, 2004-12 and 2014 with Pittsburgh and 2013 with Cincinnati). In 2014, Harrison contributed 45 tackles and 5.5 sacks in 11 regular season games (four starts), and had two tackles in the team’s postseason contest. According to league sources, Harrison signed a 2 year deal. Details of the financial terms have yet to be reported. 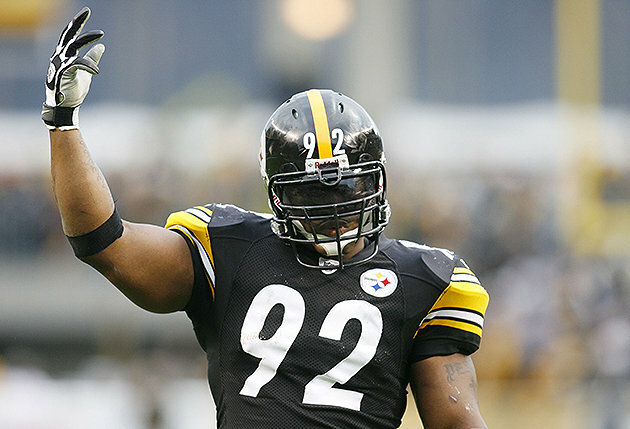 So let’s hear it Steelers World..are you happy to see the “Silverback” is back? As if I didn’t know the answer to that question. But take the poll don’t below for my amusement.